Inconceivable! The Margos decided to redo (and replay!) 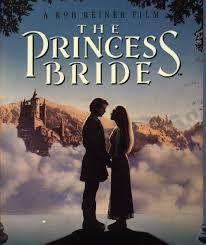 a Book Vs. Movie podcast ep by taking on one more time (and even better) the book/movie The Princess Bride. We are always surprised to find that our listeners did not realize that the beloved classic movie was at one time a book. And that said book is very meta and multi-layered. Spoiler–we love BOTH of the versions of The Princess Bride and are so excited to be able to talk about it all once again! This entry was posted in Podcast, Uncategorized and tagged "Book Vs Movie The Princess Bride", Book Vs. Movie podcast by brooklynfitchick. Bookmark the permalink.